On July 6th, 2018 two time Olympian and professional snowboarder, Greg Bretz married the love of his life in the foggy rainy mountains of Colorado. 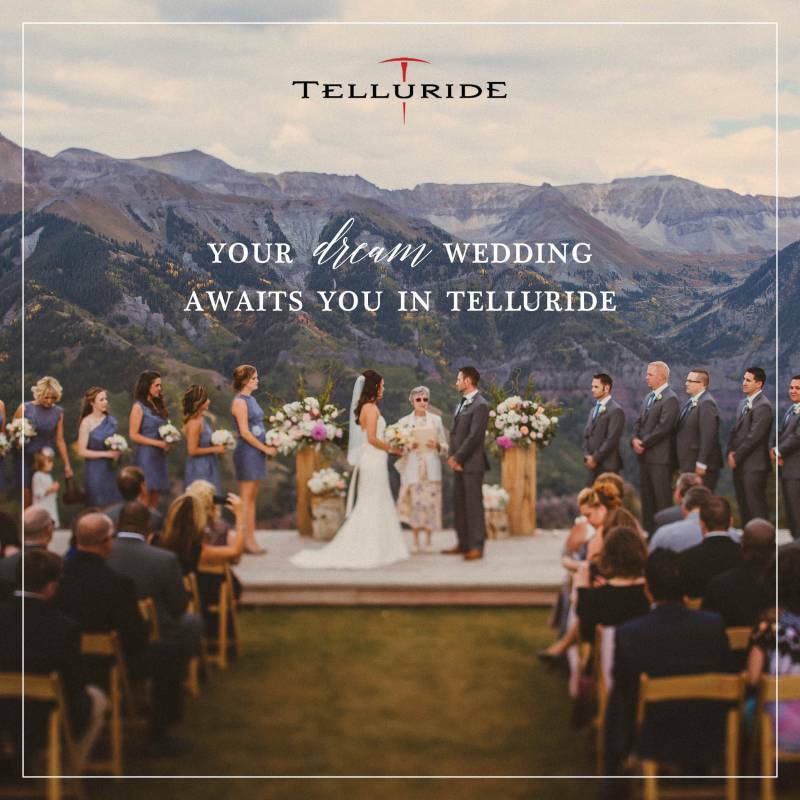 The day began with Meredith surrounded by her family and bridesmaids, as they all got ready together in her families home at the base of Crested Butte Mountain, while Greg was less than a mile away in his hotel room with his groomsmen doing the same. After a heartwarming first look with her little five year old son, Cam, Meredith made her way up the winding road to the venue. The Mountain Wedding Garden is an amazing garden venue surrounded with views of the sweeping valley and the incredible Colorado mountains. The ceremony began, and Meredith walked barefoot towards her groom, on a path surrounded by aspen trees. Greg and Meredith made their vows to each other, and then Greg made the most heartwarming vows to Cam as his new father. Just as they said their “I Do’s” the sun suddenly peaked out from behind the cloudy sky, creating beautiful golden dreamy light as they kissed each other as husband and wife. That was one of the most magical moments of the day. The wedding party then made their way down to the barbed wire fence surrounding the venue and snuck right under it, into a beautiful green valley. We had the best time taking the bridesmaid and groomsmen photos, because they were the goofiest, craziest group of best friends I have ever been around. The girls all posed barefoot together with their bouquets of wildflowers, while the guys made sure to show off their custom made “BretzOrBust” underwear. The reception was held in a beautiful open barn like cabin, with string lights lighting the ceiling. Pizza was on the menu! They served their guests delicious pizza of all types straight out of a wood fire oven that was brought by the caterers to the venue. The tables were decorated with tiny vases filled with more beautiful wildflowers. The bridesmaids and Groomsmen entered the reception dancing crazy to Post Malone, followed by Meredith and Greg who finished off the song dancing in front of their loved ones. They all sat down to eat, and once they were finished the toasts began. I could feel so much love in the air not only as I listened to each speaker give such heartfelt beautiful speeches, but also as I looked around and saw a room full of teary eyed family and friends. Just as the speeches were finished it began to rain and everyone jumped up to go dance in in it! Meredith and Greg then snuck away with me back down to the valley where they took time to soak up their first real moments alone as bride and groom. They were so in love, staring into each others eyes, dancing in the field of wild flowers. Greg couldn’t help himself from sweeping Meredith up a few times and spinning her around. After the sun finally set behind the mountains it was time to cut the cake. Their cake was beautiful, decorated with fruits and flowers. Of course Greg and Meredith covered each other in cake while their guests watched, dying of laughter, but the best part was when Greg covered Cam with cake, and then Cam did it right back to him. Then it was time for Meredith to have a first dance with Cam. Cam loved it and danced like a pro with his mom, giggling the entire time. Then she had her first dance with Greg. By this time the sun was completely set, and they danced in front of the twinkling string lights. Then the real dance party started, and the guests went crazy, break dancing on the floor, twerking all over the place, some guests were even throwing back flips. They danced under the stars and into the night.